More athletes are now focusing on a special aspect of a particular sport even earlier. It is crucial to not overwork muscles and make sure they get attention. Conversely, muscle groups that do not play a prominent role in an athlete’s sport need to receive attention to develop. With that in mind, we are going to assess an ESP athlete’s fundamental movements thoroughly before they begin their training program. Following the assessment, athletes are given a personalized plan of attack to most efficiently improve their athletic performance. Our belief is that marginal gains each day are what separate the elite from the ordinary. Trust the program and begin the path to maximizing your ability today. Ever want to see your name up on the record board? Here is your chance! 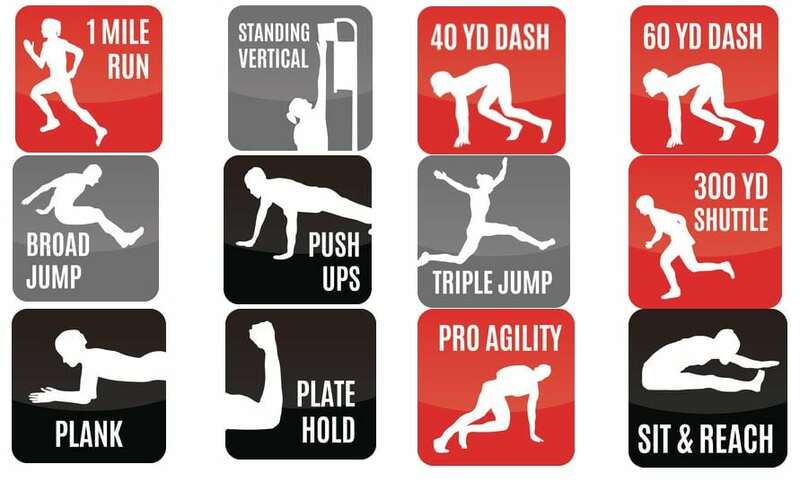 Once a month, we will be hosting ‘Skills Day’ where athletes will be put through a barrage of athletic tests to see how they have improved and/or measure up to their peers. Athletes will receive an electronic exit report summarizing their performance. Think you have what it takes? Join us for this months skills day on Friday June 29th, 2018. Please look below for links to register for the event an more.